Rail passenger transport appears to be at the centre of a public transport plan espousing a vision for south-east Queensland’s commuting requirements towards Year 2031. The Queensland Government’s ‘Connecting SEQ 2031: An Integrated Regional Transport Plan for South East Queensland’ is strongly focussed on rail advocating the construction of the Cross River rail tunnel project in Brisbane, but filtered with ongoing busway projects. Queensland Transport Minister Annastacia Palaszczuk and Main Roads Minister Craig Wallace released the plan in late October after 12 months of public consultation. "This is a 20-year blueprint to further develop south-east Queensland's busy transport system to ensure we meet the needs of this rapidly growing community," says Palaszczuk. "The population of south-east Queensland is expected to nearly double from 2.7 million people in 2006 to 4.24 million in 2031; a population the size of Sydney but spread over an area about three times the size," she says. Palaszczuk says to meet challenges such as population growth, climate change and increasing traffic congestion, changes were needed to move people around the region. "The plan highlights many vital projects like Cross River Rail which will provide essential capacity for the rail network, potentially doubling the number of train services to the city as well as increasing services across the entire network," she says. 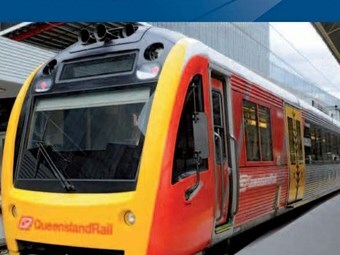 The Queensland Government appears adamant that the Cross River Rail project will revolutionise public transport in Brisbane, which will include construction of new inner city railway stations. But consideration is also given to the importance of Brisbane’s expanding busway network and up-scaled bus services. "In August we rolled out more than 103,000 weekly seats to the network with the opening of the $466 million Eastern Busway extension," Palaszczuk says. "In the last two years, we have added 600,000 new weekly seats on public transport, invested in new bikeways, and built shared pedestrian pathways." A section of the plan relating to bus transport ‘Continuing to Transform Bus Services’ points to a raft of projects and initiatives. The document acknowledges that buses will be crucial to achieving the target of doubling the share of trips on public transport from seven percent in 2006 to 14 percent by 2031, and will carry more than half of the two million daily passengers needed to meet the 2031 target. The recently created UrbanLink bus network features in the plan, aimed at providing services on high frequency strategic corridors across the region as a key part of improving bus travel. UrbanLink is based around the premise of 'turn up and go', and will provide service frequencies of 15 minutes or better off-peak, and ten minutes or better during the peak period. The aim of UrbanLink will be to run a service at such a frequency that timetables will not be required. Through UrbanLink, network planners expect to see a doubling of the proportion of residents within walking distance accessing the 'turn up and go' services by 2031. In addition to the northern and eastern busway projects, the plan also calls for the creation of transit ways. While the transit way concept dates back several decades, the plan calls for increasing number of transit way projects to support the new UrbanLink bus routes. A 'green links' bus priority concept is also suggested in the plan, where short sections of busway will be built to access major centres. The Queensland Government’s plan will act as a blueprint for prioritising investment in public transport, roads, active transport and freight. Road’s Minister Craig Wallace says the $1.9 billion Dinmore to Goodna Ipswich Motorway project was an example of a project covered by the plan. "This project will widen eight kilometres of the Ipswich Motorway from four to six lanes, including major interchanges, shared bike pedestrian paths, and new road and pedestrian bridges," he says. Other projects covered by Connecting SEQ 2031 include the construction of Gold Coast’s light rail project, completing the Northern Busway, expansion of the Springfield to Richlands Rail corridor, Port of Brisbane Motorway upgrade, Bruce Highway and Pacific Highway upgrades in southern Queensland, and connecting and managing motorways to complete the motorway network. The timing for these projects will be outlined through the Queensland Government's Queensland Infrastructure Plan (QIP), released for consultation in July and providing an outline of short-term infrastructure projects, as well as forward planning for longer-term infrastructure priorities.